Loudoun Water prohibits the discharge of fats, oils, and grease (FOG) down the drain in amounts that will cause or contribute to a blockage in the sewer collection system. FOG accumulates in sewer pipes, and over time, can build up and restrict the flow in the pipe, causing untreated wastewater to back up into your business or home, or cause manholes to overflow in the street. The overflowing manhole could also enter a storm drain and contaminate local waters. To ensure compliance with local standards, Loudoun Water inspects food service establishments (FSEs) on an annual basis. Common foods that produce FOG include meat and poultry scraps, butter, margarine, lard, cooking and frying oil, dairy products (milk, cream, cheese, ice cream) and foods using these materials including baked goods, fried foods, milk shake syrups, batters, gravy, and sauces. Install and maintain a grease abatement system in accordance with the Loudoun County Plumbing Code. Maintain the grease abatement system at the required frequency. Keep a maintenance log for the grease abatement system. Collect and recycle used cooking oil. Store and transport cooking oil in covered containers and don't overfill. 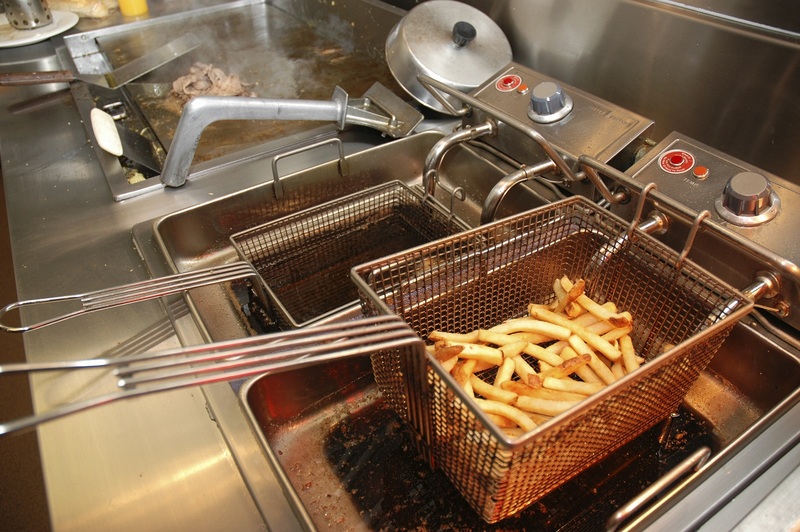 Use drain screens and eliminate greasy food from garbage disposals and dispose of in the trash. Scrape or wipe food scraps and oily residue from dishes and cookware prior to washing with a scraper or paper towel and put into garbage bags and dispose of in the trash. Properly dispose of hood cleaning wastewater into a drain connected to a grease trap or interceptor. Do not use corrosive cleaning products (acids with pH <5). This may strip metal surfaces and build up metals in the grease trap or interceptor and cause a violation of Loudoun Water pretreatment standards. Place absorbent pads in areas of frequent drips or spills and/or cover floor drains in the vicinity of fryers and griddles. Create and use "spill kits" (absorbent pads, paper towels, kitty litter, etc.) to remove grease from floors prior to mopping. Display kitchen signs or posters with BMPs prominently in the kitchen. Train new employees on kitchen BMPs. Email us for additional information on the FOG Program or Loudoun County Plumbing Code.